O Globo newspaper reported yesterday that State Public Safety Secretary José Mariano Beltrame will definitely stay on in his job under newly-reelected Governor Luiz Fernando “Pezão” Souza. The paper says Beltrame is finishing a report on the reformulation of the city’s 38 police pacification units (UPPs) and will resize the program, “making clear that he will add social action and strengthen teams”. The governor, who spoke of consolidating pacification, said that it will soon extend beyond Rio proper, to bedroom cities Niterói and São Gonçalo. He added that he hopes to work with the Federal Police to combat the entry of drugs and arms into the state of Rio, and will be meeting with reelected President Dilma Rousseff and her Justice Minister, José Eduardo Cardozo, to seek increased federal funding for public safety. Pacification has seen many turning points, but this one seems to be the most definitive since the program’s start in 2008. With the World Cup and the gubernatorial/presidential elections out of the way, Beltrame and Pezão can now focus on the deeper challenges of policing and integrating the formal and informal parts of the city — in the relatively small window that remains before the August 2016 Olympics. Shooting in the last several days in the Complexo da Maré, with two official deaths, demonstrates continuing difficulty in bringing down violence in many parts of the city. Police action yesterday morning in Rocinha (and a simultaneous move to partly occupy the West Zone Morro do Banco, refuge for some Rocinha drug gang members) seemed to indicate a move to improve control over some (semi) pacified areas. Complexo do Alemão is another problem area, among others. After a drop, violence increased beginning last year, directly affecting favela residents and police officers, creating doubt about the impact and future of pacification. The month of September saw a drop in the homicide rate, compared to the same period in 2013. This is the lowest rate so far in 2014; causes are unknown, but it may have something to do with the just-ended electoral season. Police corruption at the highest levels has not made the news since September, when more than 20 police officers, including a top military police official, were arrested for what amounts to paramilitary extortion activity. Although the buck for this stops with Beltrame, his renewed term (after a record-setting seven-plus years) could be read as recognition that, while more must be done on this score, it’s an uphill battle. 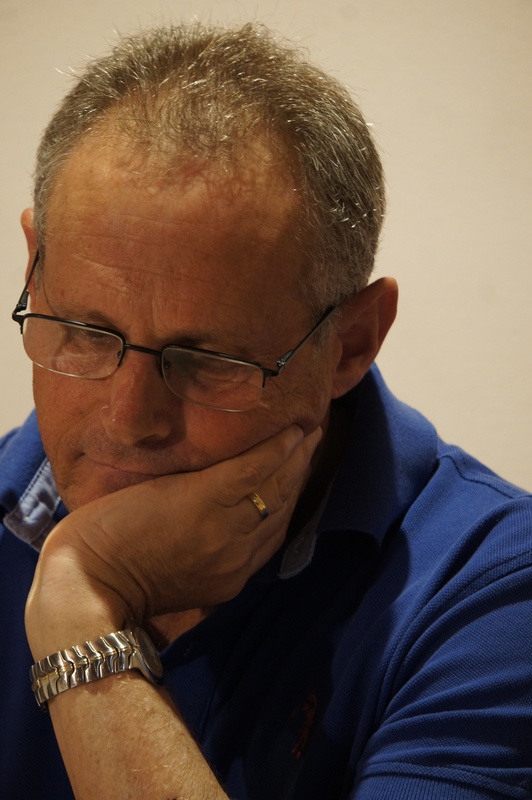 [UPDATE Nov. 7] Beltrame was expected to announce the appointment of a new Military Police commander today, in addition to other measures. A just-published book, Os Donos do Morro (The Owners of the Hill, which refers to favelas) evaluates the impact of pacification in its early yeas. The conclusions and recommendations are those of a study published two years ago — most of which have gone unheeded. Ultimately, Rio’s police, fraught with corruption (and the notion, as is the case with so many others here, that markets are opportunities to be taken before others get to them), are transitioning (or wavering?) between fighting drug crime and serving the public safety needs of favela residents. And this, as Beltrame well knows, is a very tricky business. 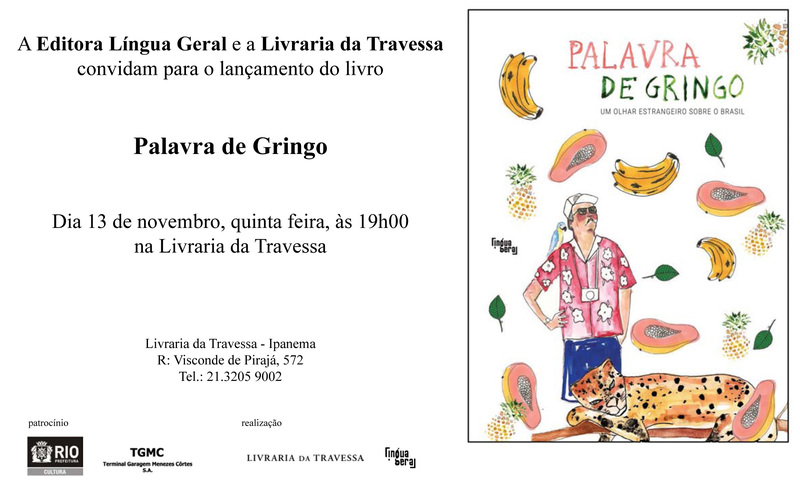 Readers are invited to the launch of Palavra de Gringo, a collection of Portuguese-language essays on Brazil by foreign journalists published by Língua Geral: Nov. 13, Livraria da Travessa in Ipanema, 7 p.m. Your blogger wrote about her 33 years of experience with maids and other domestic servants, as a way to think about socioeconomic change and the challenges it now presents. This entry was posted in Brazil, Transformation of Rio de Janeiro / Transformação do Rio de Janeiro and tagged José Mariano Beltrame, Rio de Janeiro pacification, Rio de Janeiro public safety. Bookmark the permalink.